SBI (Sector Beautification Initiative) Grants are awarded by the Bureau of Harmony to creatives within the sector who have a proven portfolio of work that benefits citizens functionally, culturally, and aesthetically. The Bureau of Harmony carefully reviews all submitted portfolios and weighs the merits of supporting each applicant. Those selected for the honor occupy the position until their approved work is completed. Follow The Bureau of Truth for announcements about the most recent creatives awarded SBI Grants. The Bureau of Harmony is pleased to announce that the latest creative awarded a Sector Beautification Initiative Grant is Jesse Thompson. 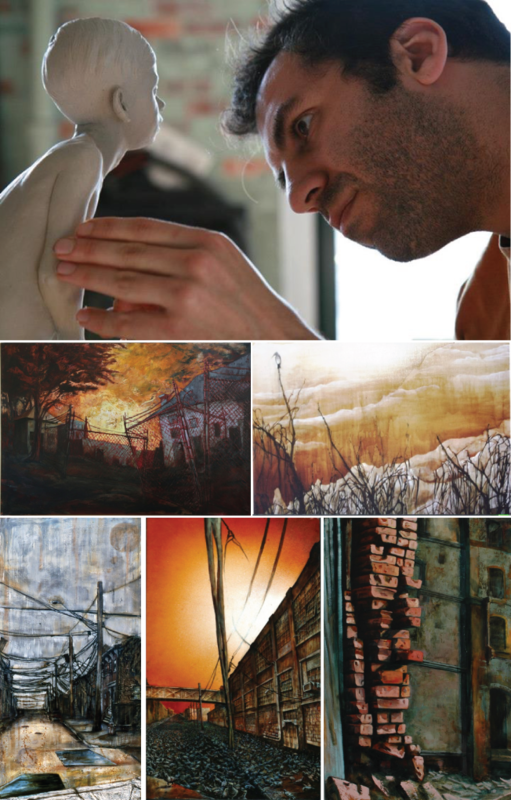 Jesse is a renown artist working in multiple media, including painting and sculpture. Jesse’s deep portfolio includes ambitious work thematically linked to pre-Adjustment decay and he has even been granted Ministry-approved extra-sector access in relentless pursuit of his aesthetic vision. The Bureau of Harmony salutes your unique perspective, Jesse!